A little while back I had a bit of an accident and tore a ligament, sustained some bruising and…cracked a rib! I’ve never cracked a rib before and it’s not something I’d recommend. OUCH! 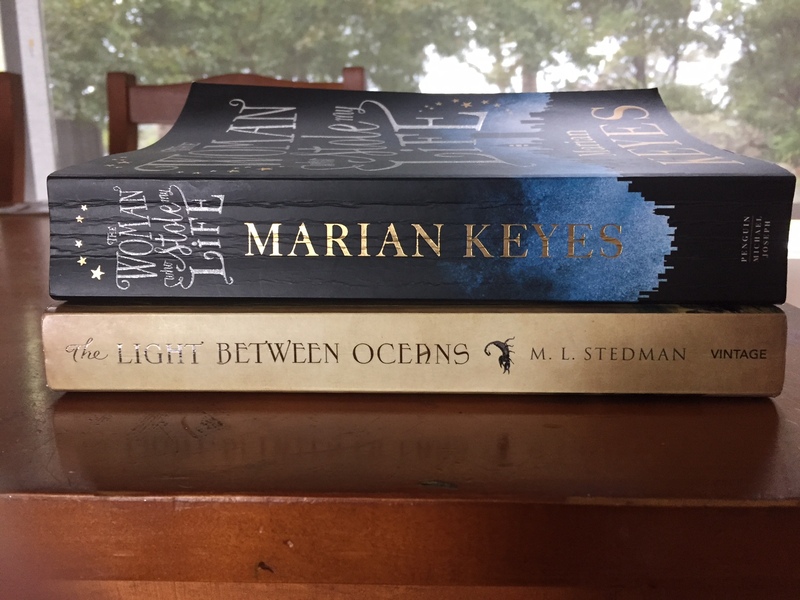 For When You Crack a Rib Pile : my bookclub read (because there are no excuses not to finish when you’re bed ridden) and a light and happy read. 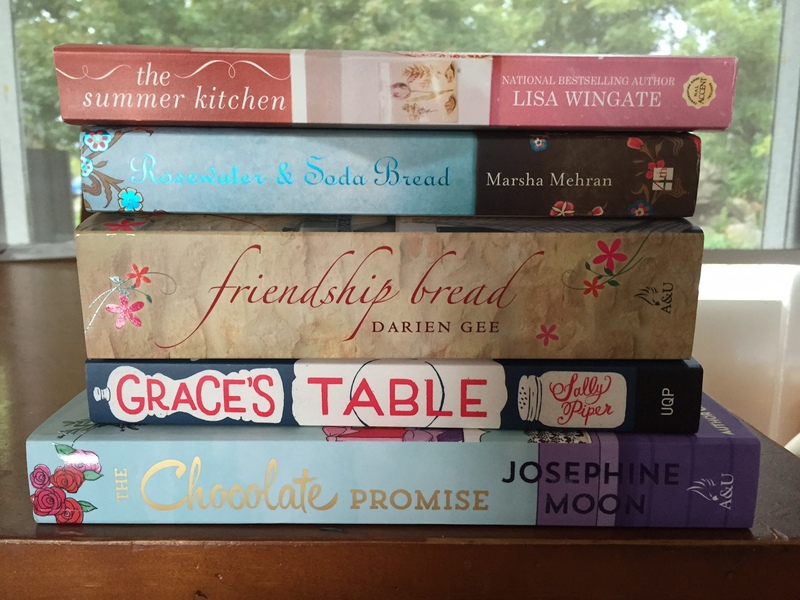 When You’re Hungry Pile : books + food = perfection. Because You Think You Should Pile : but let’s face it I probably won’t ever get to them. Will Probably Never Finish Pile : started but couldn’t get into them…maybe one day. complete with bookmarks left where I gave up. 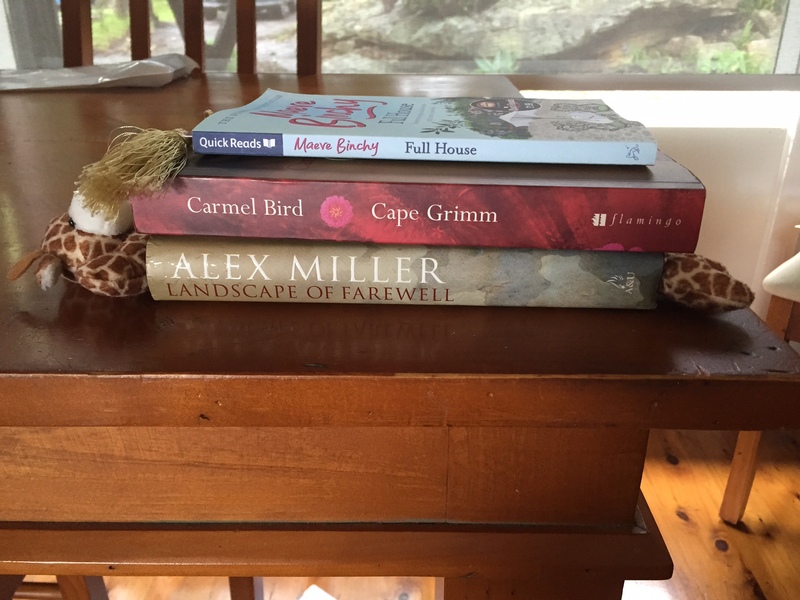 How cute is the giraffe bookmark?? This entry was posted in As a Reader, The personal touch on May 1, 2015 by sandiedocker. What was I thinking! 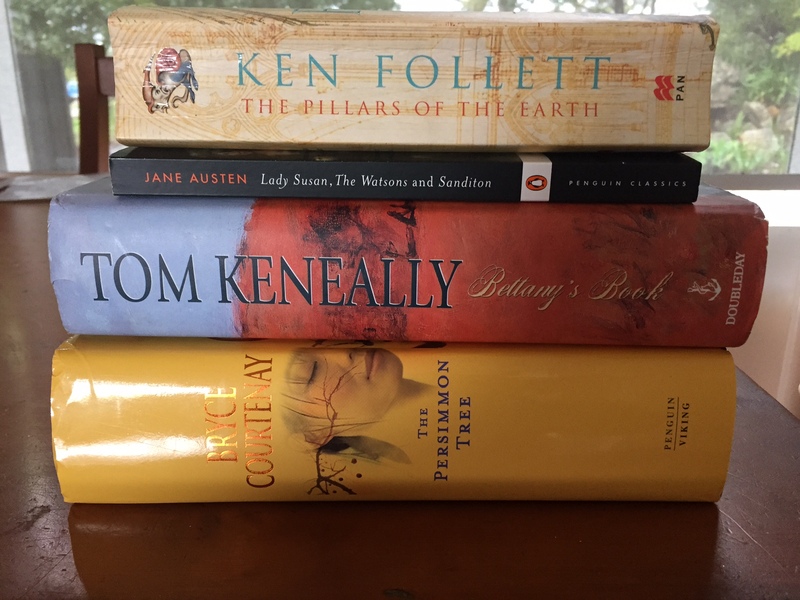 TBR pile. Oh I could think of a few books I’ve bought over the years that could end up in this pile! Some books just sound like a good idea at the time, and whether they really aren’t that good or our taste in books have changed, there are definitely some that belong here. Yes, I’ve had some of those that just weren’t for me. Maybe a pile for “might impress the cute guy on the train”. And another for books where “I love the cover but have no interest in the plot” ? I LOVE the ‘might impress the cute guy on the train’ pile. That’s gold. Dang it! Pauline took my idea. Now I have to buy more books so I can make all those piles!!!! Yikes! A cracked rib! Hope it’s all healed now! 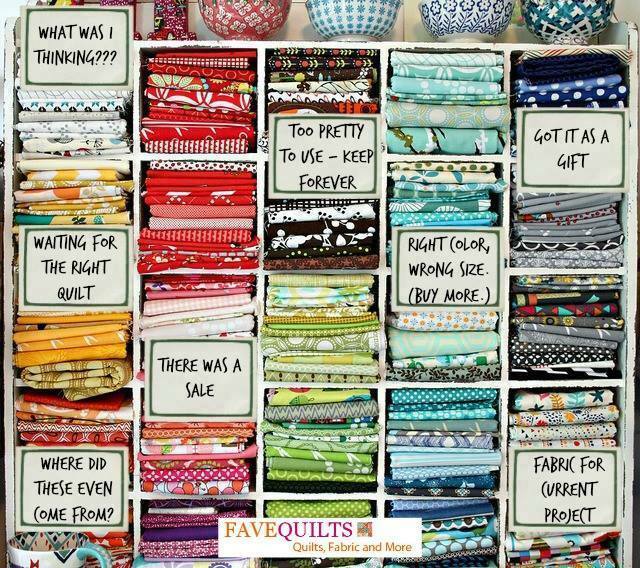 I already know what can go in my “will probably never finish pile.” Lol! Books I need to get rid of because I haven’t read them in 15+ years but swear I’m going read again one day. Fully recovered, thanks. 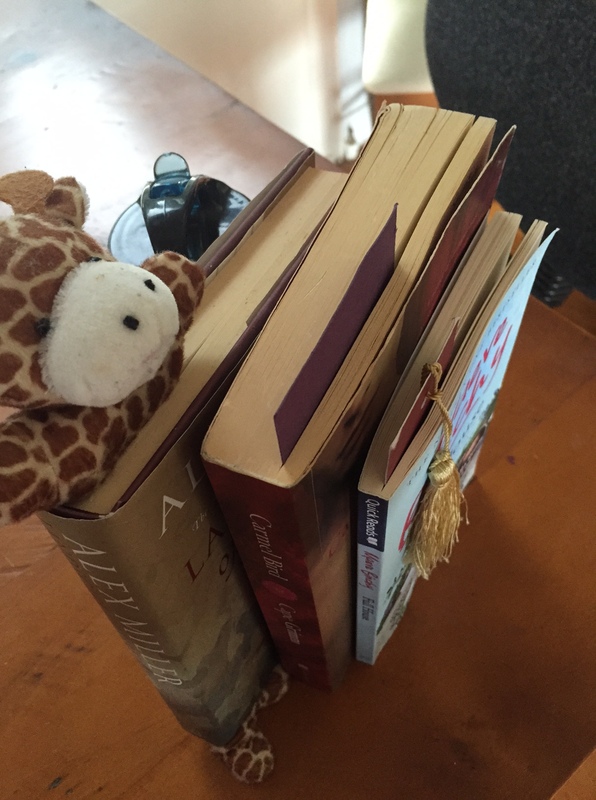 I can’t remember where I got the giraffe bookmark. Zoo?? I don’t need a ‘lights on’ pile because I’m such a fraidy-cat I just don’t buy those. But I do have plenty for the ‘pretend like I’m going to read’ pile. Wow, Julie covered a lot of lists! It’s hard to come up with one now. How about “Books that make me look smarter than I really am”? I love books by the Dalai Lama, but the last one I read (The Universe in a Single Atom: The Convergence of Science and Spirituality) was a bit over my head at times. Hope that rib is healing okay, Sandie! Oh, I like the “books that make me look smart” pile. Rib is back to normal. Thanks Shelly. Great way to spend time (esp when you have a cold and its raining – again). – looking at Sandie’s book piles and remembering ones you have read, want to read again and researching new ones to add to your must TBR pile. So I suggest a pile called..
What Sandie has that I want to read.